We are witness to a worldwide rebellion against liberal and representative democracy. Survey data substantiate our suspicion that citizens in western democracies increasingly oppose freedom of speech, question the legitimacy of democratic institutions, and agree with the claim that democracy is a bad or failing system. The truth is going to be splitted in alternative truths (Post Truth). Some people proclaim the end of history (Francis Fukuyama) and the clash of civilisations (Samuel Phillips Huntington). The Arts of the 20st century are known as to oppose THE SYSTEM, to subdue anti-institutionalism and to impose itself as critical, impartial and indispensable. One day we woke up and found ourselves in the position to rescue this order we opposed not so long ago. 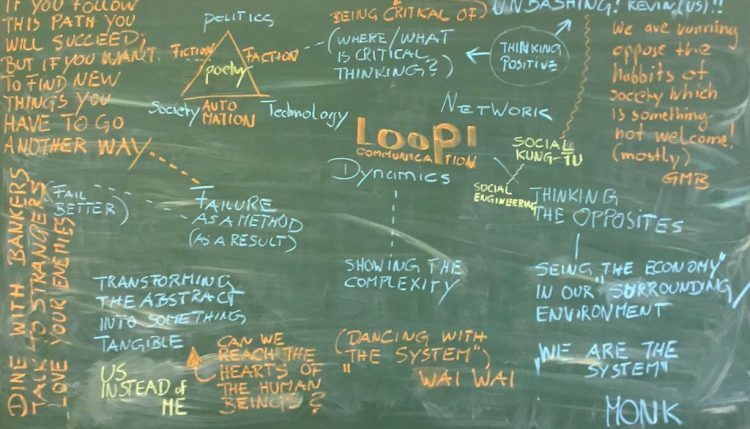 This workshop / course hypothesizes the emphatical and analytical knowledge to understand the crises of democracies and to experiment with digital technologies as ‘game changers’ and – a not neutral – reconditioner of the human condition (Conditio Humana). The course covers questions about our society by utilizing the methods and techniques of — …. You will learn to theorize the politics and to politicize your work as an artist. Participants will deepening their understanding of our socio-political condition and foster their understanding of the Arts as a role model in transition.